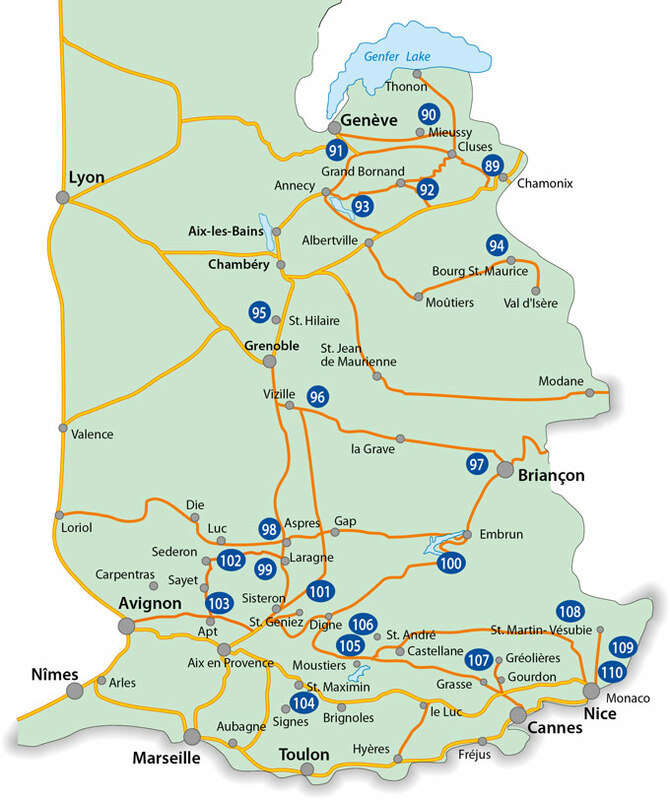 The western arc of the Alps stretches across the French regions of Rhone-Alpes and Provence, from Lake Geneva down to the Côte d'Azur. It contains all kinds of mountains, from the pre-alps of the Jura to the glaciers of Mont Blanc and Dauphiné, diminishing in height towards the sea and the Rhone valley to the west. 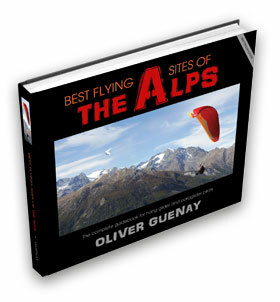 The main flying sites in the French Alps are (from north to south) Salève, Mieussy, Annecy, St.Hilaire, Laragne, St. Vincent, St.André Moustiers, Gourdon and Monaco/Roquebrune. I have described them all carefully but given you the choice to avoid the mainstream and the crowds with other alternatives in the vicinity. Like Italy, the sites are influenced more by the seasons than are most of the sites in the German, Swiss and Austrian Alps. On the other hand, some of these spots probably offer the most flyable days anywhere in the Alps, so they can afford to have a shorter business season with associated infrastructure available for visitors! You can expect accommodation, cable cars and all the logistics to be available for you from December to April and July/August. However, out of season, much will be shut down and you will often have to desperately hunt around for how to get to the launches or where to stay! Spring and Autumn are not business seasons in the French Alps, except in very popular places like Annecy and St.Hilaire.